My affection for the musical works of one Prince Rogers Nelson is well known. He was the boundary-breaking genius who sound-tracked my youth. I can still feel the adrenalin rush, the cassette in my sweaty palms, cycling home wondering how he was going to blow my mind. Well, at least up until the risible Graffiti Bridge. Of course, the Minneapolis maestro is no longer with us. We pay our homage in different ways, mine by mentioning his name in preambles, La Conseillante by the tasteful purple hues of their winery. Perhaps they pump “Purple Rain” through a speaker system to soothe the wines through their alcoholic fermentation? Then again, Managing Director Jean-Valmy Nicolas does not look like a Prince fan. He would probably reply that the color scheme simply reflects the distinctive hue of La Conseillante’s capsule. Two of the three joint Managing Directors of La Conseillante: Jean-Valmy Nicolas on the left with Dr. Bertrand Nicolas pictured in the vat room. 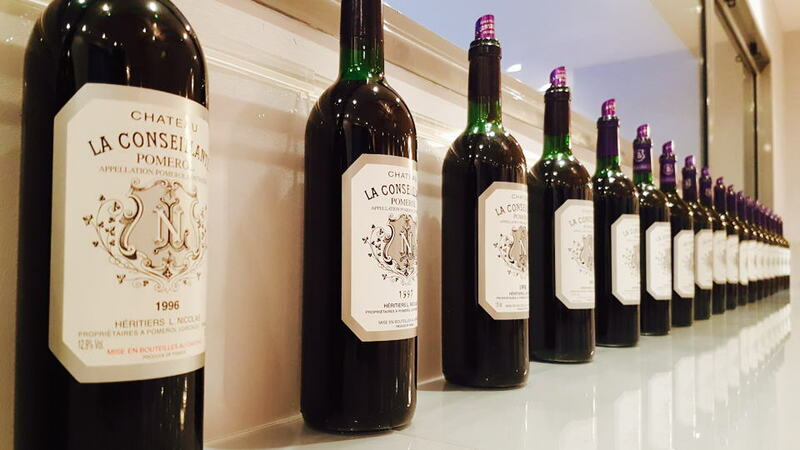 Earlier this year, Managing Director Jean-Valmy Nicolas invited me to the first-floor tasting room to taste through a comprehensive line-up of both La Conseillante and their second wine, Duo de Conseillante. These notes are augmented by those taken at recent private tastings, including an excellent soirée at “Ten Trinity” organized by Omar Kahn for his “International Business & Wine” series of dinners in March. I have also included some notes taken from my Pomerol tome. I am not going to regurgitate the history of the property since that is all written in my Pomerol book, but some background information is useful. The etymology of the name derives from the “Iron Lady”, Catherine Conseillan, a wealthy iron trader, who acquired part of the Domaine de Mautretat around 1735, the other half eventually forming L’Evangile (or Fazilleau as it was known then.) She feminized the name to La Conseillante, thereby creating one of the first Pomerol estates dedicated to vitis vinifera at a time when Pomerol’s landscape was a polyculture of vines, cereal, vegetables and pasture. After passing through the hands of three or four owners, La Conseillante was purchased by Louis Nicolas in 1871 and, unusually in these parts, it has remained in the family’s hands ever since. In the post-war period, Pomerol crus such as Pétrus and Vieux Château Certan began to gain renown amongst cognoscenti, however La Conseillante began to lag a little behind, a period of inertia that lasted until the 1980s. For this writer, the appointment of Pascal Ribéreau-Gayon in 1982 was a crucial turning point. La Conseillante began moving in the right direction, although consistency was not its forte. Great wines such as the 1985, 1989 and 1990 too often were followed by mediocrity. That consistency began in the late nineties. 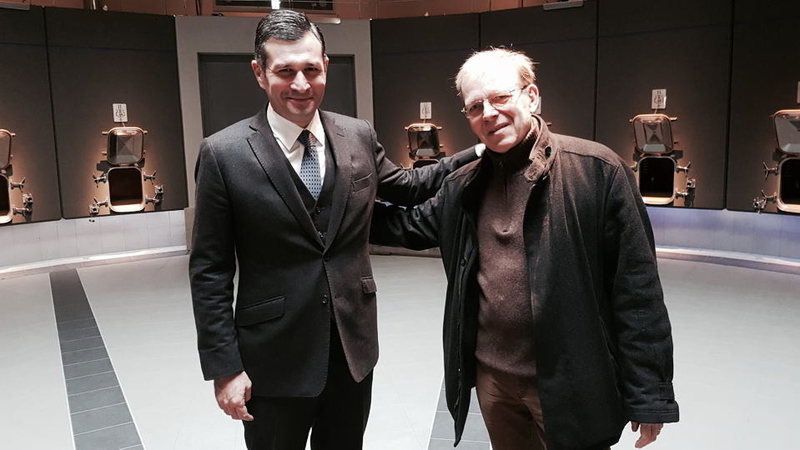 The appointment of Technical Director Jean-Michel Laporte in 2003 accelerated progress and made La Conseillante more visible amongst cognoscenti. 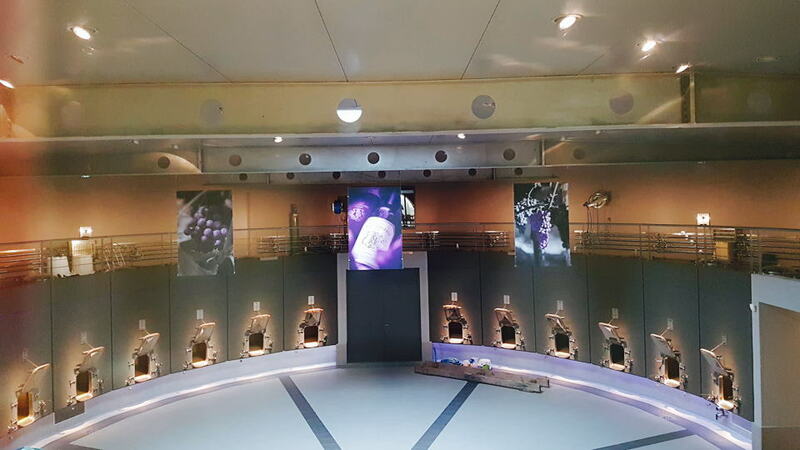 However, the lack of investment in previous years meant that the winery required a new vat room, the facilities outmoded and not up to the task of fulfilling their ambitions. Bernard Mazières was commissioned to design a new cuvier equipped with 22 epoxy-lined concrete vats that encircle the vat room that came into operation in 2012. Wide and low, they permit more contact between cap and juice during fermentation, each vat corresponding to the size of each parcel of vine. That new vat room at La Conseillante with its discrete purple lighting. Certainly since 2010 when Jean-Valmy Nicolas became joint Managing Director, La Conseillante has been given new impetus. Coming from the financial sector and always attired to perfection in his three-piece suit, Nicolas has clearly instilled a sense of ambition, a belief that La Conseillante should be ensconced within Pomerol’s highest echelon. Laporte departed in early 2015 and was replaced by Marielle Cazaux. We were introduced soon after her appointment and she came across as someone who spends much more time out in the vines, a fun-natured person, but serious and dedicated about her work. Marielle kindly answered my questions on her background and the current practices at the estate. So firstly how did she end up working at a historic estate like La Conseillante? The vineyard itself covers around 12 hectares surrounded by Pétrus, L’Evangile, Cheval Blanc, Beauregard and Vieux Château Certan in clockwise order from the north. Around one-third of the vineyard lies over the border in Saint-Émilion towards Cheval Blanc, though this parcel has always been permitted to be included since it is ostensibly a continuation of the gravel plateau. Around 60% of the vines are located on grey clay soils with the remainder on sandy gravel on ferrous clay subsoil. The vineyard is planted with 80% Merlot and 20% Cabernet Franc although, as we shall see, the composition is changing and may possibly be joined by a third grape variety. In total there are 18 plots that are treated separately. Marielle immediately struck me as someone who likes to get vineyard dirt underneath her fingernails. I asked about her approach in the vineyard and if she has introduced a different way of doing things. “I am really involved in the vineyard. We changed the pruning and we spend more time in all the technical details..."
I asked Marielle to clarify about the pruning. “We chose Guyot simple for young vines and mixed Guyot for older vines in order to control the vigour of the vines (whereas before it was Guyot double). This has made the vines easier to prune according to the vigour and avoids the crowding of branches, creating better balance in the vine at harvest. It also means we have less sensitivity to disease, a controlled yield and better quality of clusters." Winemaker Marielle Cazaux, who told me she hates having her photo taken. I asked Marielle about the future plans at La Conseillante. The winemaking here is traditional and fairly straightforward. The must undergoes a two to four day pre-ferment cold maceration at around 10 to 12° Celsius before transferring into the vats. The wine is matured in 55% to 80% new oak depending on the vintage with racking every three months, the barrels sourced from several cooperages. Incidentally, those percentages follow a trend for decreasing the percentage of new oak that used to be between 80% and 100%. Since 2007 a second label, Duo de Conseillante has been introduced, sourced from younger vines and with a slightly higher proportion of Merlot, aged in 50% new oak. Tasting notes for all vintages are included in this article. Duo de Conseillante actually represents a great value and can repay cellaring if you are inclined. Before broaching the vintages poured at the vertical tasting at the château, a brief summary for vintages that predate the appointment of Ribéreau-Gayon in 1982 might be instructive. Venerable bottles of La Conseillante are rarely seen these days, since much of the production was consumed and the château never kept a library of vintages. In a nutshell, the post-war period is worth investigating. Up until the mid-fifties, subject to provenance, quality can be excellent. Merchants would have bottled much of production and so these can vary. Quality seems to dip from the late fifties, and the following two decades mark a fallow period with only intermittent success. The first vintage that rediscovered the potential of La Conseillante is unquestionably the 1982. A recent bottle at the International Business & Wine Pomerol dinner surpassed my expectations. I anticipated that it would have started to fatigue. Not in the slightest! This remains a beautiful, svelte and charming Pomerol that might have lost a little vigour, but it is just so well balanced and sensual that you can overlook that. After the 1982, quality control seems to go awry and this damaged La Conseillante’s reputation. The 1985 La Conseillante does not quite have the depth and complexity of the 1982, but it remains a lovely, almost “melted Pomerol” that just glides across the palate. Neither the 1983 nor the 1986 have ever occupied the same level. In this era, La Conseillante was reliant on a favourable growing season to make a great wine. Thankfully that is just what happened at the end of the decade. The 1989 and 1990 La Conseillante put the name back on the map. The 1989 La Conseillante is a fabulous Pomerol that is up there with the very best. Again, at the aforementioned International Business & Wine dinner, I was deeply impressed by how the 1989 continues to provide so much fruit, depth and complexity. Unlike the 1982, the 1989 appears to have lost none of its lustre or panache, wowing its audience by its audacity. The 1990 La Conseillante is in the same league, though like its Pomerol peers, I feel that the 1989 had edged ahead in recent years and appears to be maturing with more grace. The difference henceforth is consistency. The 2000 and 2001 La Conseillante are drinking beautifully, in particular the outstanding 2001 that offers so much energy and vigour. Sure, the 2003 La Conseillante is compromised by the incinerating heat of that summer like many Pomerols, but that is compensated by a deeply impressive 2004 and a stunning 2005 La Conseillante that has built-in longevity. The latter half of that decade is extremely consistent, crowned by the fabulous 2010 La Conseillante that set the benchmark for the estate: structure, precision and complexity like nothing seen before, a signal that this vineyard can match the most famous names of the commune. I would also draw your attention to the 2012 La Conseillante, a brilliant wine that might be over-shadowed by the 2010 but is improving year by year in bottle. We will skip the 2013, I mean, who did make a decent wine that vintage? That said, the 2013 is still perfectly drinkable and inoffensive. Both the 2014 and 2015 demonstrate another step up in quality. 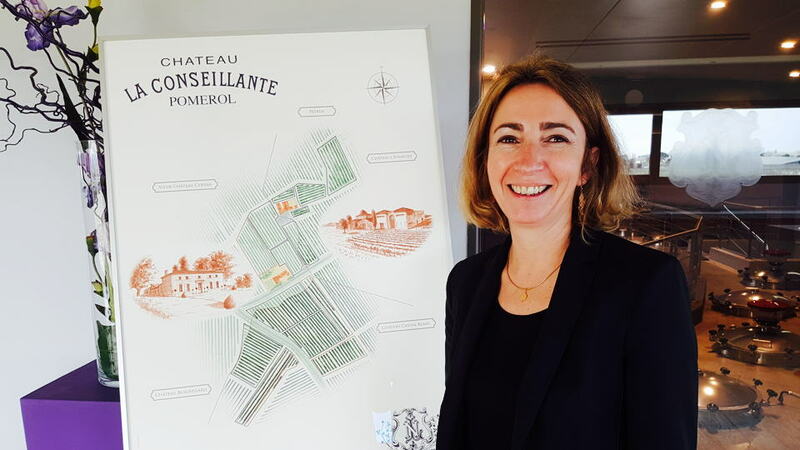 The 2015 La Conseillante is a brilliant wine that marks the opening of Marielle Cazaux’s tenure. This was a fascinating journey through the most recent vintages of La Conseillante. As a buyer I would seek out vintages such as 1982, 1989 and 1990, but be wary of off-vintages. I would focus my attention more on the post-1998 La Conseillante wines and not be afraid of venturing towards less coveted growing seasons. The style of La Conseillante is one of richness, an aspect that it unsurprisingly shares with its neighbour L’Évangile. There has always been a core of fleshiness; even a corpulence you might associate with Saint-Émilion and you might attribute that to the geographic location not just next to that appellation, but partially residing in it. Instead, I would argue that this is because the Merlot is usually more expressive than the Cabernet Franc, at least in the past. That roundness, what you might call a “Rubenesque” character is extant with 20 or 30 years in bottle, often accompanied by a subtle spiciness and occasionally a ferrous tincture. There is clearly now more emphasis on the Cabernet Franc component and capturing the complexity it can give, not to mention the long-term plans to increase the percentage of plantings. With Marielle’s mention of Cabernet Sauvignon, perhaps one could see semblances towards its other neighbour, Vieux Château Certan, in the future? Irrespective of style, the pertinent question is whether La Conseillante belongs in the top tier of Pomerol? David Peppercorn MW ranked it amongst the top four in his Bordeaux guide and that predates current improvements. Personally, I dislike the notion of ranking, and would argue that Pomerol has been all the better without it. It is better to have an almost solipsistic attitude, to forget the world beyond your vineyard boundaries and focus upon not just the quality of the wines, but consistency and personality. In these respects, La Conseillante has certainly enormous potential. Just returning to the subject in my introduction, Marielle informs me that she loves Prince and although she assumed Valmy was of a more classical persuasion, turns out that he too is mourning Prince’s death. Favourites? Kiss, Raspberry Beret and, of course, Purple Rain. Well, I will have that famous histrionic guitar solo playing in my head the next time I visit.